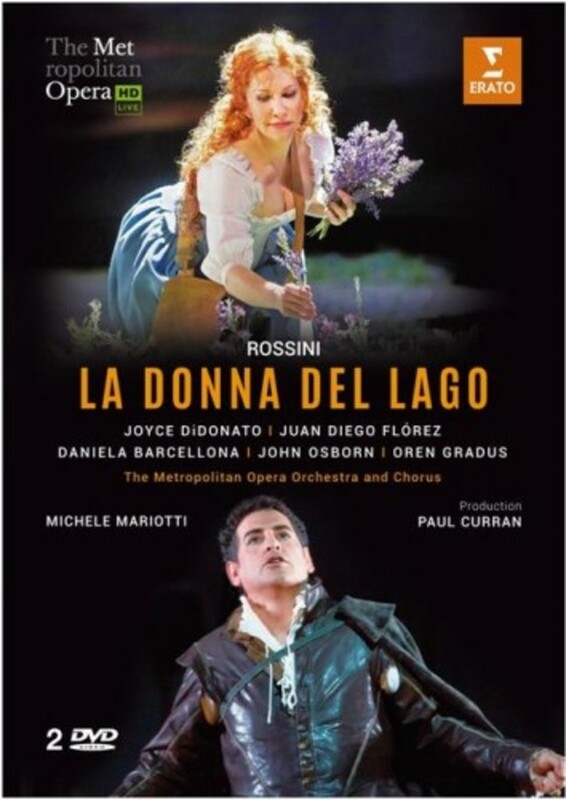 Joyce DiDonato has become closely identified with the title role in Rossini’s La donna del lago (The Lady of the Lake). She has starred as the 16th century Scots maiden in London, Paris, Geneva, Milan, Santa Fe and, early in 2015, at the Metropolitan Opera in New York. There, as in several previous productions, her King James V (here known as Giacomo, but disguised under the name of Uberto) was the king of bel canto tenors, Juan Diego Flórez. He and DiDonato struck sparks off each other in the Warner Classics DVD of Rossini’s 'Il barbiere di Siviglia', recorded at London’s Royal Opera House; here, under the more dramatic circumstances of this story of love and war, they do so again. Fortunately, La donna del lago is another opera that reaches a happy conclusion, marked by Elena’s joyous and virtuosic aria ‘Tanti affetti’. Live at the Metropolitan Opera New York, 2015.